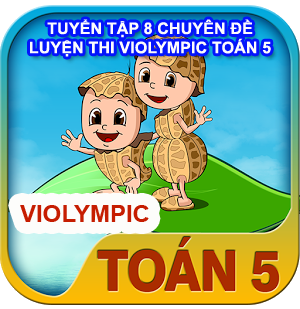 [Toán lớp 5] - Nguyentrangmath giới thiệu bộ đề Violympic Tiếng Anh lớp 5 để các em luyện tập và thử sức trước khi vào vòng thi mới. Chúc các em thi tốt! 1. Are you a student or a teacher? 4. What is ………favourite colour ? I like red. 5. Whose book is this ? 7. What are ……..? They are my books. 8. Can you drink……..? Yes, I can. 9. I am …..a picture now. 1. Hello, my name’s Kate. I am ten …….old. 2. …….. are you ? I’m fine, thanks. 3. There …….one living room and one kitchen in my house. 4. …….do you go after school. 1. My house is ……. 2. Who’s ……. ?- It’s my friend, Nam. 3. Can I borrow ………? 4. May I come in ? …………. 5. He can play football…….. he can’t dance. 1. I am having a birthday party ………..my friends. 3. The maps are n…..r the pictures. 4. What do your friends have ? ………have some chalk. 5. ………old are you ? I’m twelve. 5. Where is my bag ? 6. do dress What you like ? 7. The is clock on the wall. 10. it day What is today ? 1. Viet Nam has ………….of beautiful mountains. 2. How many ……….are there ? There are ten. 3. I have two brothers . ………..names are Minh and Tung . 5. how many ……….are there ? There is one peach. 7. What’ s your father’s name ? 9. What’s the matter with him ? 10. What ………..is your car ? 1. She works in the factory ……our hometown. 2. Tam likes fish ……it is good for health. 3. The painting ……the wall is very nice. 4. Alan wants to be a taxi……. 6. does father your Where work ? 1. What is ………date today ? 2. He’s a …………. He grows vegetables and raise pigs. 3. What…….a bad day! It rains all day. I’m tired. 4. Thank you ………..your dinner. It’s delicious. 5. ………..would you like for dinner ? Fish or vegetables ? 1. I like English because it is…………. 3. They put a big table……….the middle of the room . 4. They……….some snacks at the moment. 5. His mother’s birthday is ……….May. 6. At school, we learn ………a lot of things. 7. 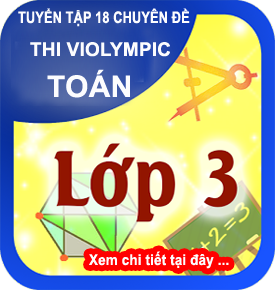 Lam is a……….at To Hoang Primary School. 8. He likes playing sports …………football and tennis. 9. Now please listen……….what I say. 10. His father always ………….coffee for breakfast. 1. ……….is your mother’s name ? Her name’s Hanh. 2. She studies Maths, Art……….Music. 3. What do you do……..your free time ? I listen to Music. 4. Many people are waiting …………the bus. 5. She doesn’t thank us …………our help. 6. Bill is 20 and he is a doctor . He…………in the hospital. 7. The life ………. school is very busy but interesting. 8. 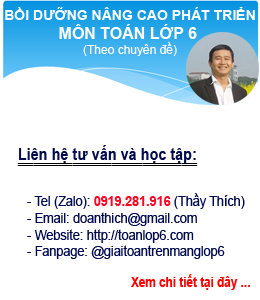 Living in Ho Chi Minh city ……….so boring. 9. We have to ………..our teeth before bedtime. 10. I ……….clean my room everyday, so it’s very dirty. 7. has a son Mrs Hanh and a daughter. 1. ………..is your grandfather ? He’s over 80 years old. 5. She is learning…………to use a computer . 1. Andrew wants to……………to some music at home. 2. Why ………….you late all the time ? 3. How ………….days a week does she go to school. 4. What is Lan doing ? She’s s………… a song. 5. Rachel’s grandfather …………helping them on the farm. 6. I like going to Dalat………..people they are very friendly. 3. a have I Can look ? 7. good are What you subjects at ? 9. I you very much, miss Mom. 1. Peter …………a white cat and a black dog. 2. How many hours …………..a day ? 3. ………..don’t you get up early ? 4. How many …………..are there in the sky ? 5. What do you often do………. your freetime ? 7. She likes going ………….in the fall. 8. It’s very kind ………….you to say so. 9. Look!............woman is painting the wall. 10. They would like some milk……….. dinner. 1. Susan is sleeping. Don’t speak too loud or you may wake her……. 2. The box is full…….. chocolates and sweets. 3. My mother wants me to………..my homework before watching TV. 4. Don’t forget to post the letter ………..me. 3. watering They are in flowers the garden. 10. want a Does Mr. Smith new raincoat ? 1. Come and …………..badminton, George ! 2. Mary and Kate …………coming to class today. 7. There is …………..ink - pot on the desk. 8. …………somehting to eat ? Yes, there is. 9. Where …………you usually…………..in the evening ? 10. Everyone in the class………….these exercises. 1. a busy after I am very tired working week. 2. What colour is this ?- It’s…………. 4. Tim is good …………….all sports. 7. What does your brother do ? He’s a ……………..
2. I don’t have _ _ _ money. 3. I p_ _ _ _ _ football yesterday. 4. _ _ _ _ you born in January ? 5. Can Jack and Bram play the piano ? Yes, _ _ _ _ can. 4. wakes Thomas in the morning early up. 6. do of flowers What kinds you want to buy ? 2. Who is that ? It’s ……………. 3. When is your birthday, Emily ? It’s on…………..
4. Suri’s house is not near her school, so she goes to school ………..
5. How often do you visit your grandparents ? 6. ……….go to DaLat this weekend ? 7. Tom and ………….are going to the birthday party together. 9. Do you play soccer everyday ? 10. How…………..do you brush your teeth ? 1. How …………do you go cycling to the countryside ? – Once a week. 2. There are …………months in a year. 3. How many meals ………..their baby have a day ? 4. ………..sports does she play badminton or soccer ? - Badminton. 6. to be Why you want don’t a nurse ? 7. hear I am sorry to that. 1. What’s ………..dinner today ? Bread or rice ? 2. Barbara has beautiful teeth. Her teeth………….white. 3. 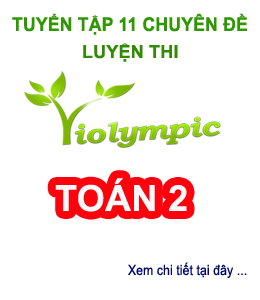 There is a lot of ………….in Vietnam. Our country is green. 4. What did your little sister do yesterday ? She………..television. 6. There is a lake……….front……..my school. 1. What does your broter _ _ _ _ to be ? He wants to become a famous singer. 2. I like going to school because I have a _ _ _ of friends. 3. _ _ _ _ _ did she do last summer ? She went to Sam Son beach. 4. _ _ _ _ _ watch is it ? - It’s Bob’s watch. 5. I give Sam a doll _ _ her birthday. 6. A lot of my friends play soccer, but not many of _ _ _ _ play table tennis. 7. _ _ _ July enjoy her first day at school ? _ No, she didn’t. 8. Does Ben’s school _ _ _ - 40 classrooms. 9. _ _ _ _ he ever play tag after school ? 10. What is Danny _ _ _ _ _ ? – He is watching television in the living room. 1. There are ………….in their family. 2. It usually ………..in March. 5. What is your mother’s favorite drink ? It’s ………………..
6. …………..walk on the grass ! 7. We shouldn’t …………..a lot in the evening. 8. What does she often do ………….her freetime ? 9. What …………..do you like ? – I like warm weather. 10. What does Mrs Smith do ? She’s a ……………..
12. How does your father often travel to Ninh Binh city ? -…………train. 13. The boy ……………….his teacher some beautiful flowers. 3. on the third Our classroom is floor. 5. plants has a lot of Mrs. Thompson in her house. 7. at 6 o’clock gets dressed My little sister every morning. 9. to Sarah’s mother took her the dentist yesterday afternoon. 1. I can’t help my mother to cook because I …………my homework. 2. My father likes coffee, but my mother ……………..
1. Does Mandy go to school _ _ motorbike ? 2. Is that her brother ? – Yes, _ _ _ name is Thomas. 3. My father often rides a bike to the countryside when _ _ _ weather is fine. 4. _ _ _ _ _ you like some more cake ? Yes, please. 5. I can’t help you. I’m _ _ _ good at English. 1. good Swimming is for our health. 10. his homework did Frank yesterday evening. 1. The toy store is _ _ _ _ to the Chinese restaurant. 3. I can’t help you. I’m _ _ _ good at English. 4. I _ _ _ _ _ _ up late last night so I can’t get up early this morning. 5. What’s the weather _ _ _ _ in Spring in Paris. 1. They are going to the restaurant to eat seafood. 2. What ………do you often get up ? 3. Which pencil do you want ? - ……………..
4. The children often wake………..early in the morning. 6. Who are all………….people ? 8. Our class is on…………..floor. 9. Where ………….Lan and Mai live ? 10. …………..? No, she isn’t. She’s in the English class. 1. How _ _ children does your sister have ? 2. How often do you come _ _ visit your uncle and aunt ? 3. _ _ _ Jane buy any clothes in the clothe shop yesterday ? 4. I am going to have a birthday party _ _ May 29th . 5. My uncle works in the factory _ _ Monday to Friday. 6. There are _ _ _ _ seasons in mu country: Spring, Autumn, Winter, Summer. 7. We shopuld eat a _ _ _ _ _ fruit and vegetables. 8. I don’t like vegetables _ _ _ my sister does. 2. Tim in winter. Sometimes goes skiing with his friends. 9. aren’t at home in They the evening. 1. What are we going to do ? -…………………. a. Let’s go camping b. Why we go camping ? 2. Can you go to the store …………me ? Yes, Mom. 3. Mark and……….are going to go fishing next Sunday. 5. ………..is Dennis going for his holiday ?- Dalat. 6. How is your little daughter ? – She is fine,…………..
1. _ _ _ do you like informatics. – Because it is interesting. 2. He plays soccer _ _ _ _ his friends in his free time. 3. We should go _ _ _ a picnic in autumn because it is very cool. 4. Why are Science lessons interesting _ _ _ her. 5. When I _ _ _ a little girl, I liked candies very much. 6. I’m going to tell you _ _ _ _ _ my new school. 7. I have a headache. You should _ _ _ _ some aspirins. 8. _ _ _ - does he do ? He’s a police officer. 9. December is the twelth _ _ _ _ _ of the year. 10. My uncle _ _ _ _ _ as a doctor in the hospital. 1.……………water do people need to drink eveyday ? 2.………….do you study in the library after school ? – Once a week. a. Are you wanting some fruit juice ? b. You want some fruit juice ? c. Are you going to want some fruit juice ? d. Do you want some fruit juice ? 4. Is this her …………..? 6. My little sister……………..traveling very much. 7. What ………..she like ? She likes fruit, chocolate and vegetables. 8. Where …………..you yesterday ? You didn’t go to school. 1. Red is my …………. Colour. 2. I’m ………….so I’d like some noodles. 3. We are going to stay there ………….two days. 4. How …………..bananas are there in the refrigerator ? There are some. 1. _ _ _ _ activities can you do at the festival ? 2. There are many trees _ _ _ flowers in the park. 3. Go straight ahead. The park is in f_ _ _ _ of you. 4. He stays _ _ too late and he is always tired the next morning. 5. Did Polly enjoy her first day _ _ school ? 1. often do your homework. Do you in the evening. 6. go fishing and swimming We are interested in in the summer. 9. to join Mary and I would like the English speaking club. 1. What time does Mary …………everymorning ? 3. My father goes to work ……….Monday…………Friday. 5. 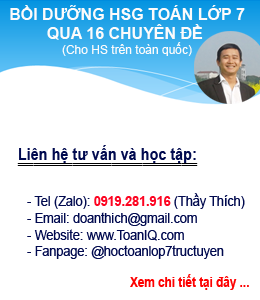 He is going ………to Vung Tau tomorrow. 6. …………do you work ? I work at a school. 7. ………….long or short ? 8. My school ……….three floors and my classroom is on the first loor. 9. ………floors does your school have ? 10. How much………. ? Two thousand dong. 1. What are the children doing in the garden ? – They are………boats. 6. When summer comes, we go …………….on the bank of the river. 7. Let’s ………….goodbye to Mrs. Jannies. 9. What’s the matter ? -……………………. 10. English and Arts are very interesting ……………….me. 1. Is there any flower garden in front of your house ? - ………. 2. What’s your sister doing ? – She’s ……………a cook. 3. How many hours …………….a day ? 4. How ………..meat do you want ? 5. ………….collecting the empty bottles ? – Yes, that is a good idea. 1. The festival _ _ _ held in the park near uor school. 2. Sally doesn’t want to eat hamburgers any _ _ _ _ . 3. _ _ _ _ you at Ha Long Bay last weekend ? 4. Do you _ _ _ _ many friends ? 5. I need some stamps. Where is the _ _ _ _ office ? 6. I can’t go _ _ a trip because we are very busy. 7. What _ _ _ _ do you get up ? – I get up at 7. am. 8. Everyday, I clean my room, help my Mom , _ _ _ study English. 9. My classmates often help each other _ _ _ _ their homework. 10. My mother is nice _ _ everyone. 1. He loves books. He ………….them every day. 2. ………….sports do you and your brother play ? 5. Myteacher combs her……….every morning. 6. I come……………….home at 7.30 in the morning. 7. ……….are you going to stay with your aunt ? – For two weeks. 9. I don’t like ……………..children. Thay always make noise. 10. My uncle goes to work by car. He …………..his car to work. 3. My father goes to work ………..foot. 5. They go …………….at 5 pm. 6. Your parents look very …………..
7. Would you ……………….the door, please ? 11. ……….do you get there ? – We walk, of course. 12. I don’t have ………….apples but I have ………..oranges. 1. How are you ? – I’m fine, _ _ _ _ _ you. 2. They are going to stay in Hue _ _ _ a week. 3. Johnny _ _ from Britain . He speaks English. 4. What’s the weather _ _ _ _ in the summer ? 5. What’s the _ _ _ _ _ _ ? I have a fever. 2. before usually reads My father some newspapers bedtime. 8. She only for eats fruits breakfast. 1. I have math on Monday and Friday. – We have it ……….a week. 2. Do you help your mother ………the housework ? 3. Did he find a coin ………..the armchair ? 5. How many seasons are there in the north of Vietnam ? 7. ………grade ………you in ? – Grade 5. 8. ……..is that desk ?